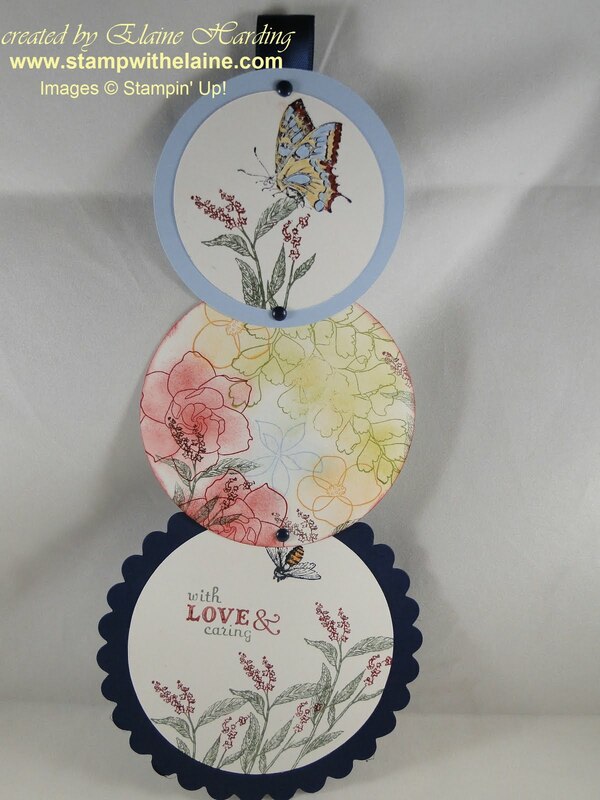 When the card is closed, the circles are stacked on top of each other as pictured above. Thank you to Alyssa for the inspiration - I can't remember her second name - it starts with a Z and was difficult to pronounce that's why I forgot! Just by attaching the brads strategically as pictured above, you can open up the card to reveal 3 layers of circles. 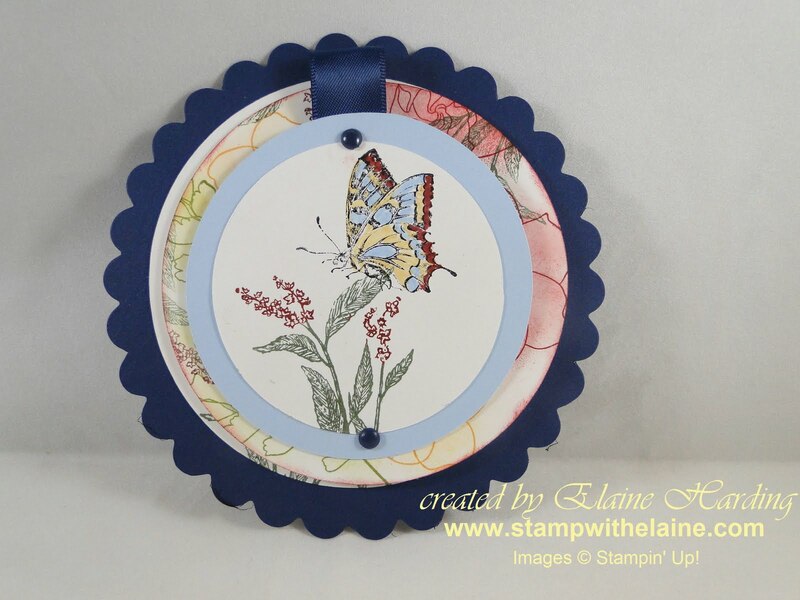 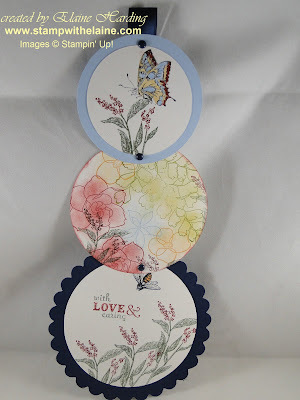 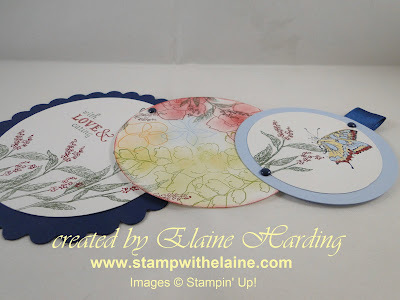 For the second circle layer, I used the Growing Green stamp set and used sponge daubers to add colour to the images - Cherry Cobbler, Bashful Blue, Old Olive and More Mustard.